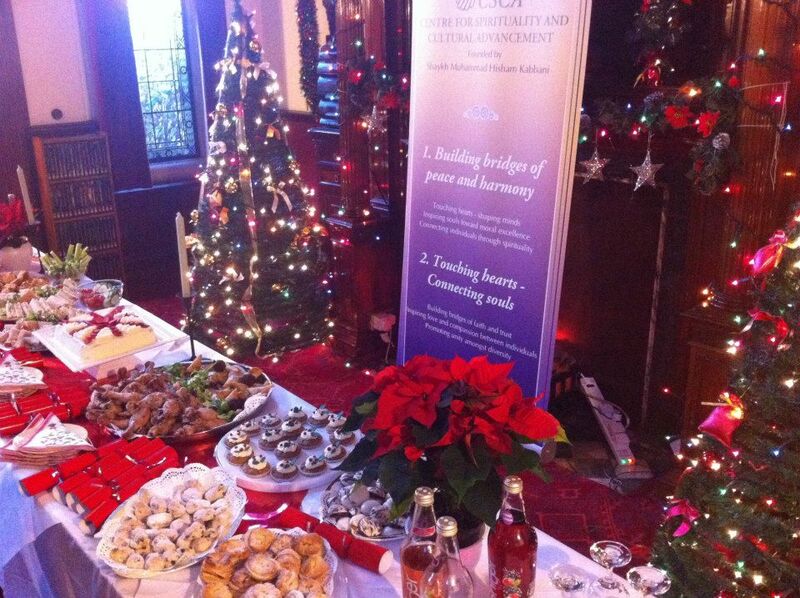 The CSCA celebrated the coming of Christmas in collaboration with the Bedfont Church on Sunday 16th December 2012. The event brought many multicultural and faith people together. This year, the CSCA as part of the initiative called A Year of Service encouraged people to come together to celebrate the coming of Christmas. The CSCA worked together with the Bedfont Church to help decorate the David Henry Wearing Home with lights and decorations. 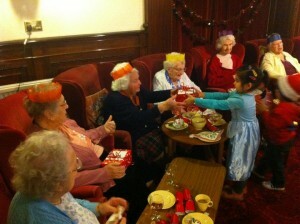 Gift food boxes were created for the elderly Christian people at the David Henry Wearing Home in Feltham. The gift boxes contained important supplies, such as toiletries, hats and gloves that are ideal to have during the winter period. 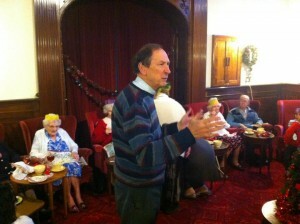 The residents were very overwhelmed and grateful for their gifts. The CSCA put on a lavish buffet for everyone to enjoy, members from the CSCA spent the afternoon enjoying the buffet and speaking with the residents at the David Henry Wearing Home about social issues that concerned them. One of CSCA’s objectives is to give people the opportunity to talk, make friends, and encourages positive relationships with people from different backgrounds. The CSCA beliefs in the importance of promoting dialogue between followers of different faiths and cultures in order to create understanding and make use of their synergy for the progress and prosperity of the whole community. The interfaith buffet gave opportunity to people from two major faiths to work together on such a noble cause to benefit important members of our community; the elderly and was a step in building social ties through such an important social action. Our aim is to promote inter faith social action in order to promote peaceful coexistence among the followers of different religions and cultures, showing faith as a catalyst for good relationships with each other and the wider society. The CSCA encourages inter faith social action as this a essential component to understand the similarities of the various faiths and cultures and strengthen cooperation among people. The CSCA will be organising many social action based programmes and everyone is most welcome to get involved. Please email info@spiritandculture.org.uk if you are interested in partaking in any of the programmes or activities we organise. We will be posting more details about specific programmes or activities near the time they take place.